We all know—for the most part—that singers don’t usually make good actors, right? (Am I the only one who thinks this?) I wonder then: what makes so many musicians think they can make it in the movie industry just because they made it in the music industry? Is it because they think it is just all art? Well, that was the train of thought I was on when I first saw posters and trailers for the Dreamgirls musical. Although I saw that Dreamgirls featured a star-studded (all-black starring) cast, the inclusion of Beyoncé Knowles in that cast made me think that her presence in the film would probably be the movie’s greatest glory. I decided, then, that I would watch the movie if I happened to be going to the cinema around the time it was showing, but I definitely was not going to make any special effort to see it. That was my stance! And then…a couple of months later, I was at home, bored out of my mind. A friend had lent me one of those 8-in-1 DVDs, which I was a little reluctant to watch because I am not really a movie-at-home kind of girl. Still, desperate to ease my boredom, I slotted the DVD into my laptop before going to bed and began to watch Dreamgirls. Two hours and eleven minutes later found me clapping furiously at my laptop screen as the credits began to roll. That was how moving I found the movie. Believe it or not, that was not the first time during the film where I felt moved to clap! I had not only clapped several other times in the film, but at one point, had to stop the movie and rewind it just so I could re-watch a particularly poignant scene in the film. (For those who have already watched Dreamgirls, can you guess which scene that was? ;-)) Yes, I really, really enjoyed this movie! “Dreamgirls” follows the lives of Effie White, Deena Jones, and Lorrell Robinson, three young women who form an R&B singing trio from Detroit, Michigan called “The Dreamettes”. Thanks to manipulative agent and record executive Curtis Taylor, Jr., the Dreamettes become famous as the backing group for soul singer James “Thunder” Early. Conflict arises when Curtis transforms “The Dreamettes” into the pop-friendly “Dreams,” particularly when he has Deena replace Effie as both lead singer of the group and as his romantic interest. But…the plot, albeit interesting, was not what I found so great about this movie. What I really loved were the musical performances and the cinematography. 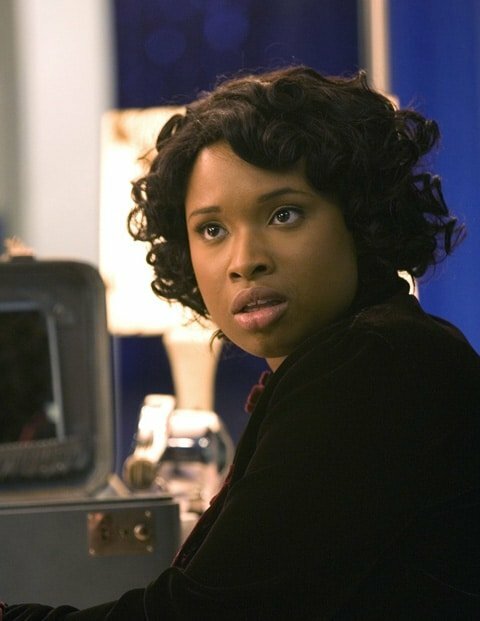 Jennifer Hudson, who plays Effie White, can not only sing but also act (she won an Oscar for Best Supporting Actress for her debut role)! But she was not the only outstanding one. Of course, Beyoncé did her thing, as did Jamie Foxx, as did they all. I loved how the scenes were strung together in order to convey information central to the storyline such as the passage of time and the political and social climate of the day. I never knew to what extent music in a motion picture could be used to tell a story, and that it could do this so aptly. Still, I’d like to say, although Dreamgirls is heavy on music, it does have enough dialogue so that one is not overwhelmed by all the singing (if you’ve watched the movie before, is that what you thought too, or did you think it was very heavy on music?). If you, like me, are not very keen on African-American movies because of their general lack of depth, then I’d like to mention that this is not one of those shallow black movies. I feel that although the movie did tell the story of African-Americans, it told an interesting story about complex and well-developed (universally human) characters. I guess I have only good things to say about Dreamgirls. 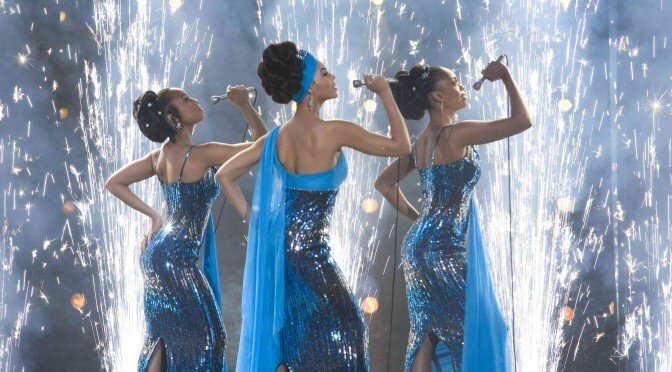 I know I write this review a little late (almost 9 years since the movie’s release) but still, if ever you are at a movie library wondering what to borrow next, then I encourage you to borrow Dreamgirls. I think you might really like it. When you do, please let me know how you found the film. Wow Biche, you make me want to watch the movie. 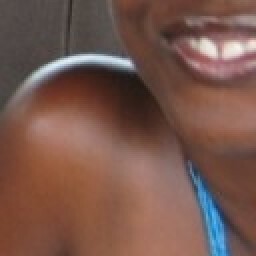 I also think African-American movies lack depth and as a rule don,t bohter with them. Being a weekend i might just go look for Dreamgirls. It’s always a pleasure to see you on ChickAboutTown! Yep, this is a movie that I know you would thoroughly enjoy. Please do borrow it, and then let’s talk. Life in East Africa…& beyond!